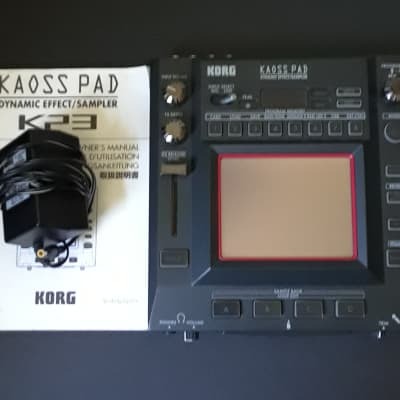 Kaoss Pad 3 KP3, DJ Effect from Korg in the Kaoss Pad series. 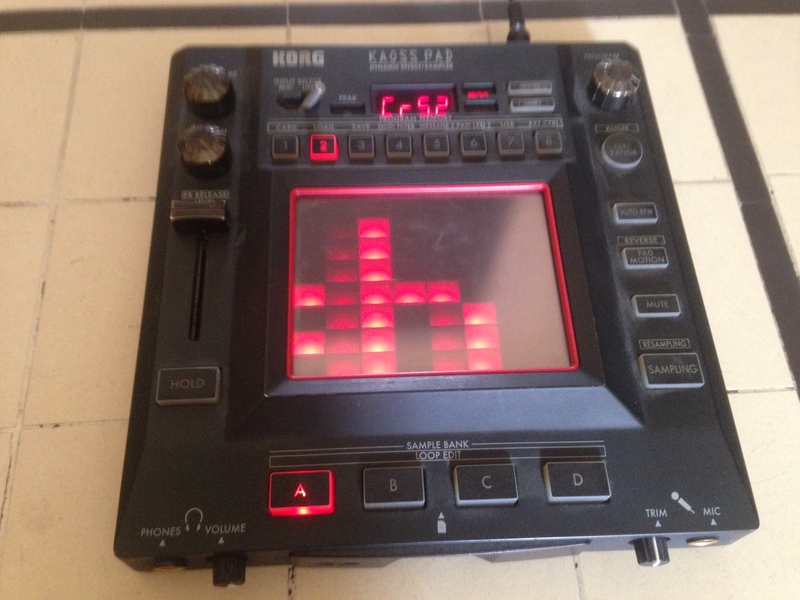 JimboSpins's review"Tons of effects and they are all usable "
The Korg KP3 KAOSS Pad will allow you to edit your sounds in real time with X/Y controls, it has 128 programs and you can sample right on the Korg KP3 KAOSS Pad. It has some really good effects that come stock on it, and for 330 USD makes it a must have for a DJ. There are a number of effects that are tempo based which has really helped me out during a live performance. 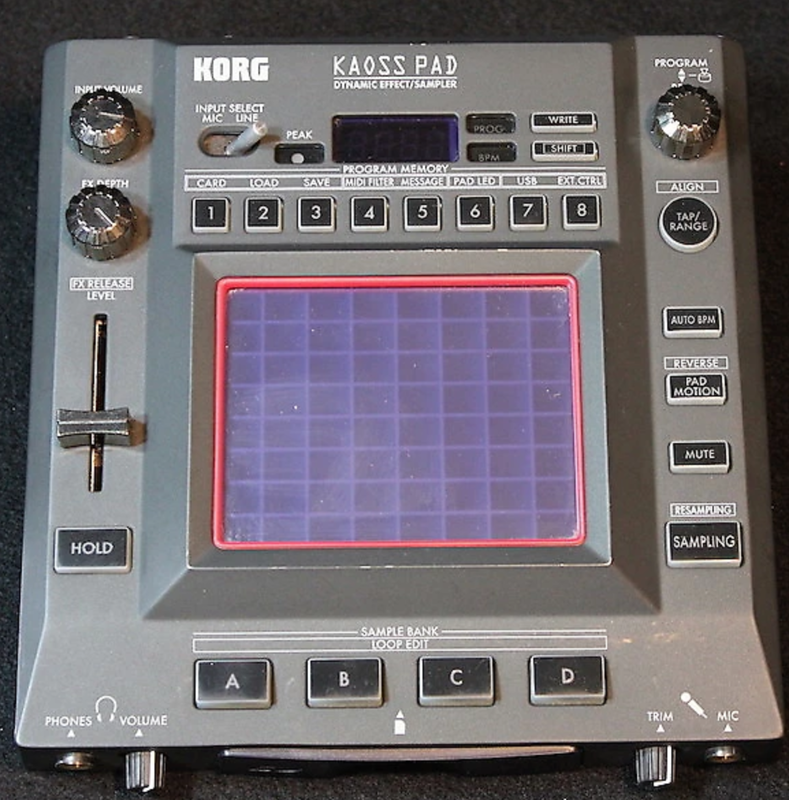 You can also use the Korg KP3 KAOSS Pad as a MIDI controller. 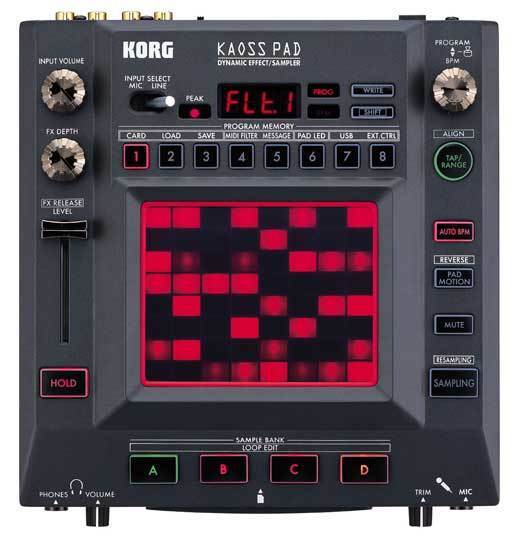 The Korg KP3 KAOSS Pad does provide a nice and rather cool visual to it when you are using it, if you are using it in a live setting in a club or darker venue it will look pretty cool and even the people around you will feel the same way. The Korg KP3 has 128 powerful sounding effect programs; it has all of the basic effects like reverb, delays, flangers and others. But it also has some really new and surprising effects like the analog filter and tone building drive circuit. 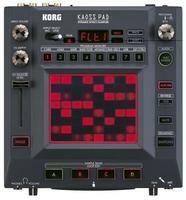 The Korg KP3 KAOSS Pad is well built; it has everything you need for a live show. The built in vocoder is awesome for all of your vocal effects. If you are in need of a machine that will give you full control and a bunch of FX’s then this is what you need. 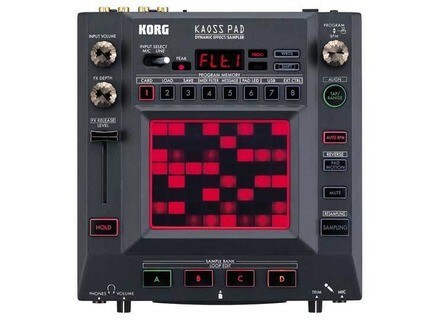 I have been using the Korg KP3 KAOSS Pad for over a year now and I use it at every single show that I do. It has become one of the main focal points of my setup. It is portable and very stable, it only weighs a couple pounds and it comes with a protective sheet for the touch pad. If you take care of this unit it will last you a long time and you will have no issues with it. there is a set of effective board rather good but nothing essential !! Anonymous 's review (This content has been automatically translated from French)" Small but terrible as bcane ..."
128 effects in all it seems to me, from reverb, delay in, really very full They are more or less ditable priori, but this function is limited. For USB connectivity, RCA, jack, noon, nikel for me. Configuration is very simple and sufficient manual for basic functions. To edit the effects and, very intuitive. I have not a small decrease in sound effects and a lightweight breath. on the other hand I found the effects of very good quality. I use it for a week so I'm not sure to be objective I found was excellent and very intuitive, I had a good shine all week. 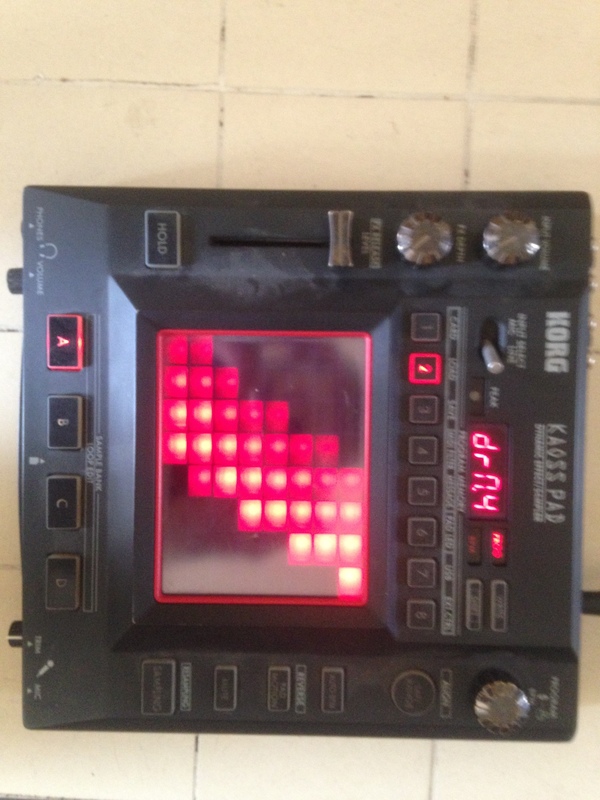 But personally, I do not live, and I think this tool is perfect for live (and an essential thing for beatboxer) for the mao, um, it's possible to turn it into MIDI controller has can be very nice (I'm a bit allergic to DIFFERENT knobs for effect and was looking for a more intuitive thing to order). multipad's review (This content has been automatically translated from French)" Well"
Great product, only the inconveniant leger breath induced during effets.Autre soucit the gain down induit.Mais such a great effect otherwise.